Mother's Day is around the corner. It is a great day to celebrate in order to honor mothers all over the world for their undying love, sacrifices, patience and understanding. In most countries. Mother's Day is celebrated on the second Sunday in the month of May, while there are several countries across the world that celebrate Mother's Day on different day and month depending on their cultures and traditions. 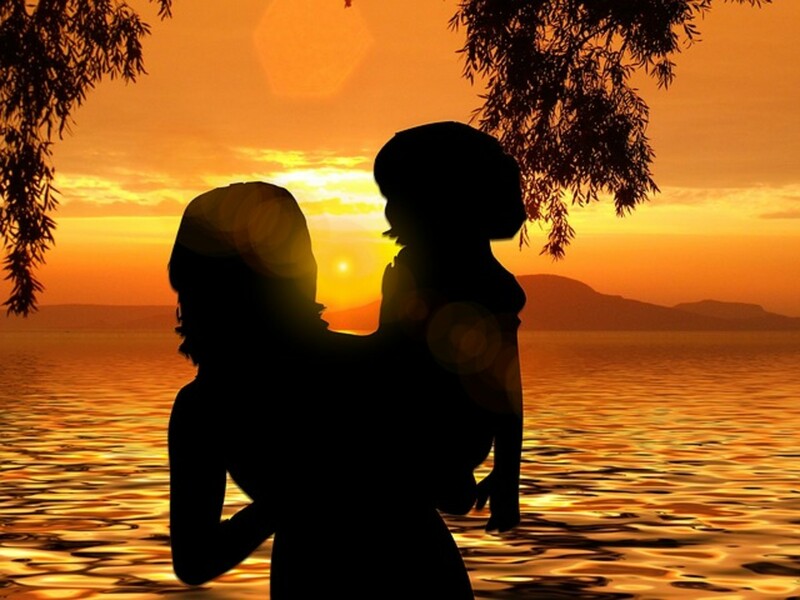 No matter when or how each country celebrate Mother's Day, it is important for the children , regardless of age, to know why this special day is held yearly around the world. How do you call your mother at home? Mom! Where are my socks? Mummy! Where are my dress? Ma! Where are my homework? Om ma! Where is my lunch? What is the purpose of celebrating Mother's Day? The purpose of celebrating Mother's Day is to pay a tribute to mom who had carried you in her womb for the 10 months, brought you into this beautiful world through many hardships and tears. She took care of you by showering all her love, protecting you from any harm, guiding you to the right path, helping you to achieve success in studies, work and future life. Flowers are mom's best friend ! What should I give my mom on Mother's Day? In the U.S and Malaysia, Mother's Day is one of the most celebrated yearly holidays besides Valentine's Day and Christmas. 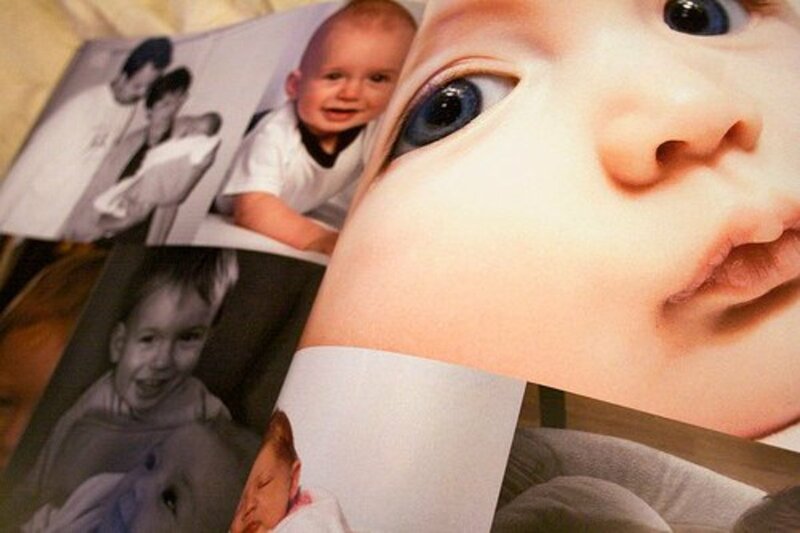 This year, Mother's Day falls on the 13th May, Sunday, a weekend, where every family spent some precious time together. Have you thought what gifts you should get for her? What about a Mother's Day card? It doesn't matter whether the card is handmade , printable or store bought card. Mom would appreciate your thoughts of her during this special day. She could sense your feelings and sincerity which embedded in her heart. I am sure that your mom will be delighted to receive your specially handmade Mother's Day card ,with handwritten quotes or poems and signed by you. This may seem a stupid question.. Do you know how old is your mom? Handmade card takes time and lots of effort, not money. 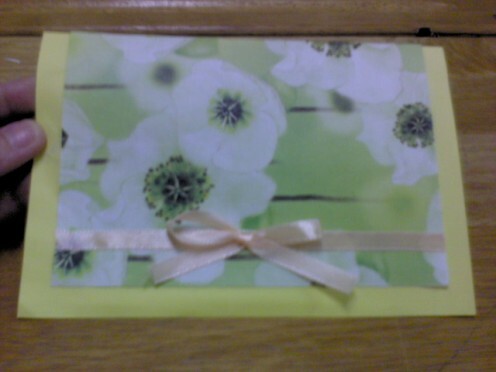 A child's creativity and talents are shown in this handmade card, be it beautiful, messy or plain. It does not take much of your time to self made a Mother's Day card. It may takes approximately 20min to 30min, depending on your speed and concentration. 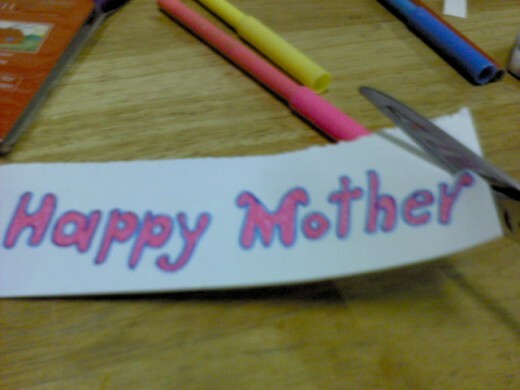 I first made this Pop-Up Mother's Day card last year. Sorry, I didn't post this hub earlier. This pop-up card is easy to make and inexpensive too. I used most of the materials from left-over craft projects. Last year, my mom hinted to me that she loved flowers very much. Orchids were her favorite but I don't visit her often. Hence, I can't fulfill her wish. Anyway, I sent her my handmade Pop-Up Mother's Day card which I used flower printed gift wrapper for the front cover and a pop-up basket of flowers which was hand drawn. However, I made a mistake on the greeting part. It should be "Happy Mother's Day" and NOT "Happy Mothers' Day" which was a stupid blunder. Luckily, she didn't notice the mistake. Otherwise, she would have told me. I guessed mom had overlooked my mistake. Too bad, I couldn't give her personally. I sent it by mail and she called me when she received it. She was very delighted to receive a handmade card for the first time in her life. She told me that she would keep it safely in her drawer and take a look at it whenever she misses me. I missed her too. Don't know what to say to your mom on Mother's Day? Fear not! Use these Mother's Day Poems , Quotes and Verses on your Mother's Day Cards. Helps you to express your love and appreciation to your mom with inspirational words. 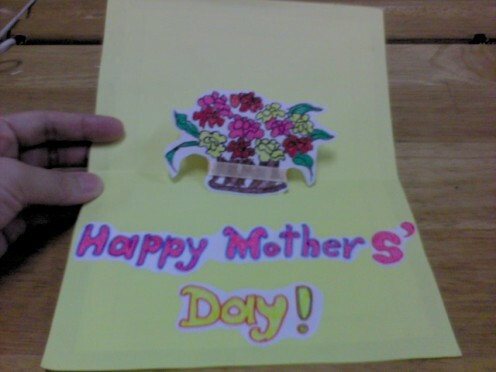 Here is a simple pop-up Mother's Day card that I had made for my mom and I hope that you won’t have any problems with the step-by-step instructions and photos provided. Do leave me any comments or suggestions to improve this card. Happy card making ! I used a matte white card / paper weighing 100g for the front card. 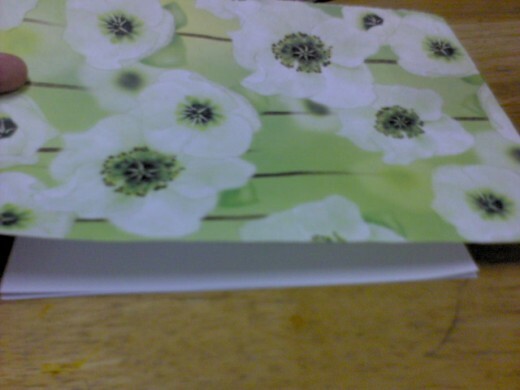 It is thicker and not too flimsy. 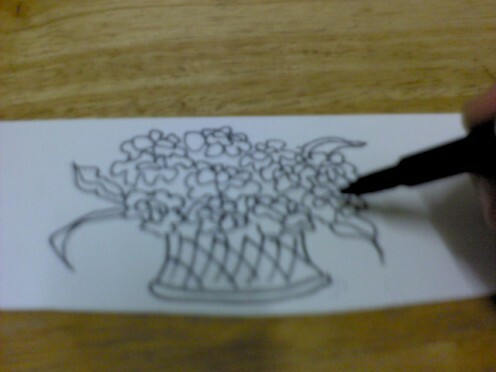 Use a ruler and a pencil to draw the outline for the front card, 21cm x 16cm. It is a rectangular shape. 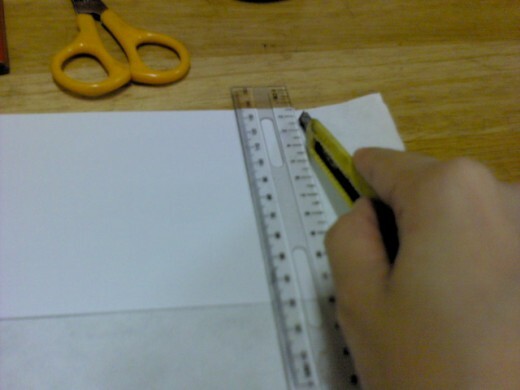 Use a penknife to cut out the outline. Penknife or cutter cuts better and cleaner than scissors. Fold the card into half. 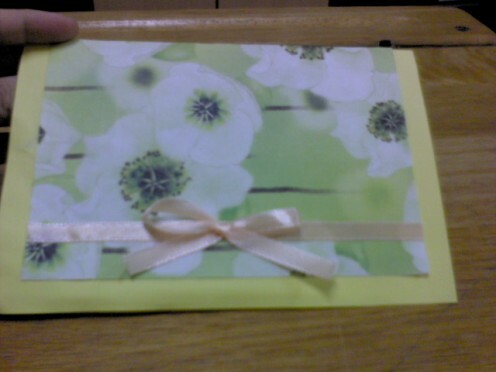 This is to cover up the inside card. 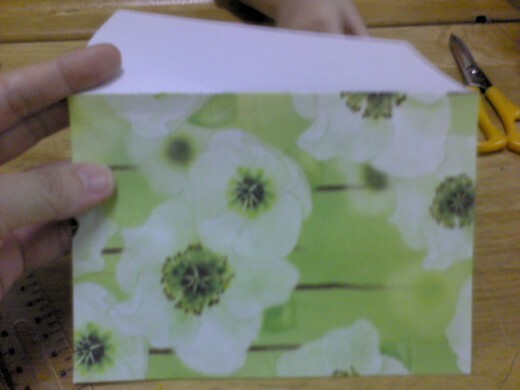 You will use this paper to make a pop-up in the middle of the card. 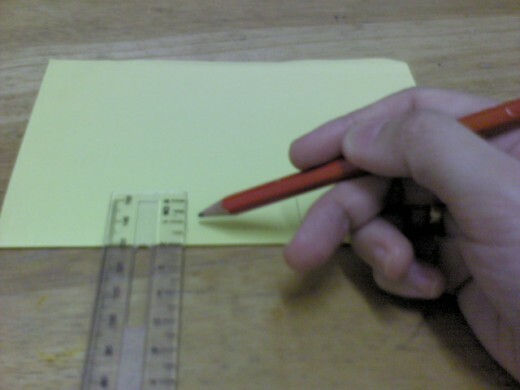 Use a pencil and ruler to draw a measurement 20cm x 14cm ( height x length ) on the yellow construction paper. 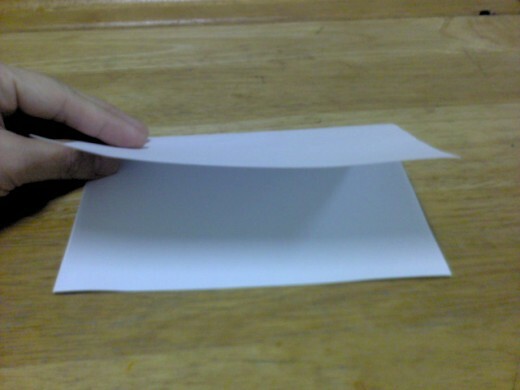 Fold the paper into half. 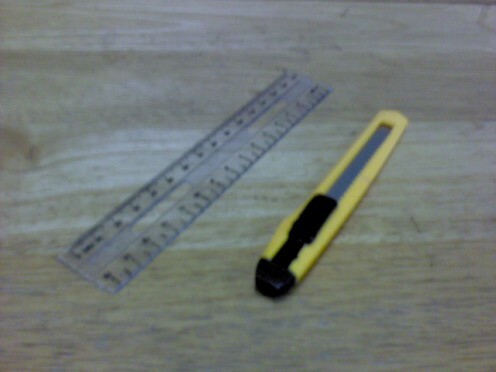 From your left hand side, use a ruler and a pencil to make a marking at 5cm. Make another marking at 10cm. Draw straight lines at each of the markings , roughly 1 inch. 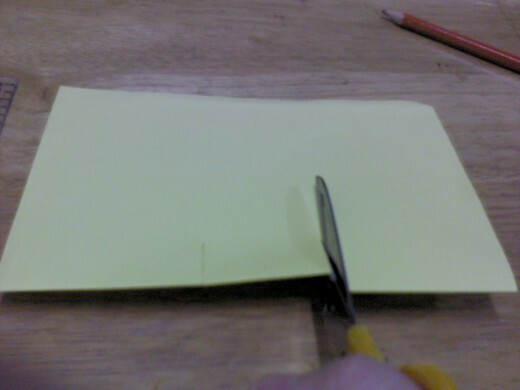 Use a pair of scissors to cut 1 inch at both markings. You will noticed two small cuts in between. Use your index finger to push in the small cuttings. 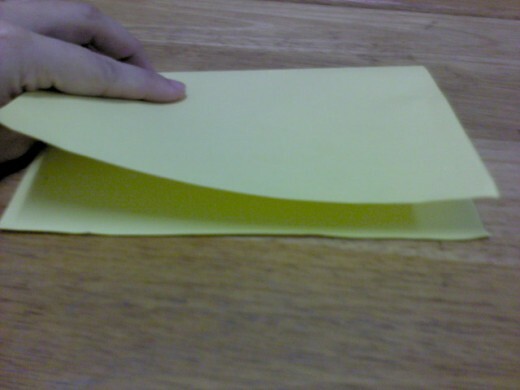 Fold down the yellow construction paper. You will see a small gap in the middle of the paper. That is the pop-up facing inside the card. Apply some glue on four sides of the front card. Spread out the glue evenly. 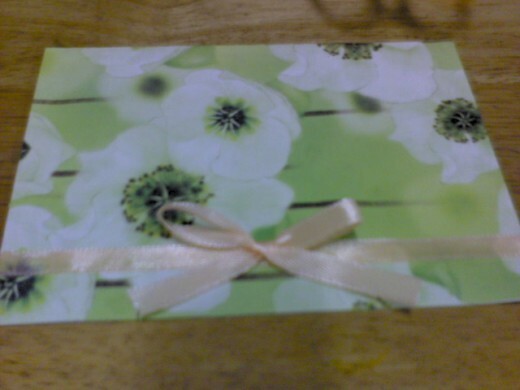 Place the gift wrapper on top of the glued card. Use your hands to smooth out the surface. 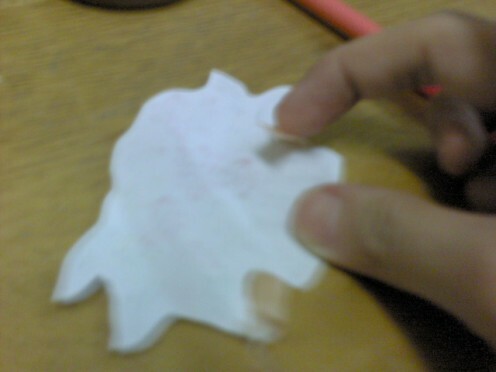 Trim off excess paper on four sides of the card. See photo shown for the front card image. 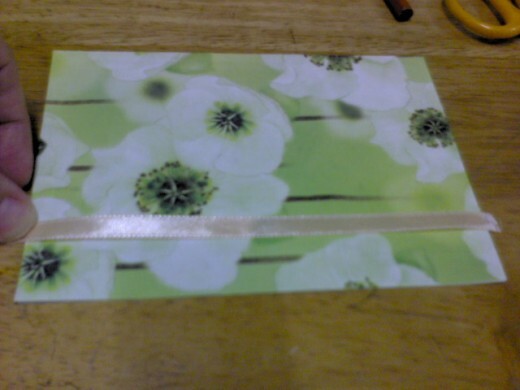 Cut a strip of ribbon , roughly the length of the front card. 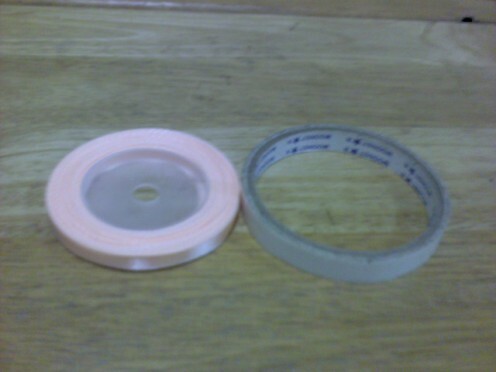 Apply some double-sided tape at the back of the ribbon. Paste the ribbon almost the bottom of the wrapper, roughly 1 inch space. Trim off excess ribbon on both sides. Cut another strip of ribbon. Tie a bow ribbon and paste a small piece of double-sided tape behind the bow. Paste it in the middle of the strip, as photo shown. 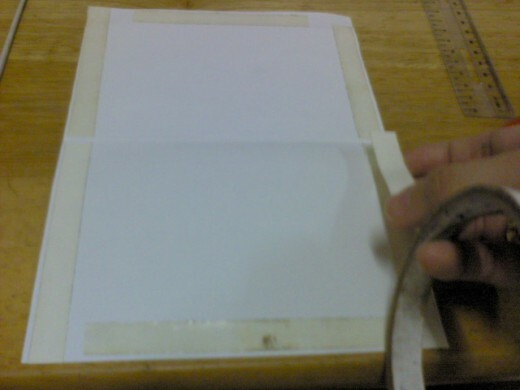 Paste double-sided tape on all 4 sides of the inside card, both top and bottom , as photo shown. 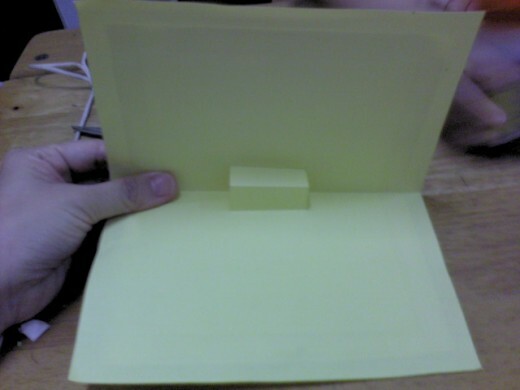 Paste the yellow construction paper with the pop-up on to the inside card. 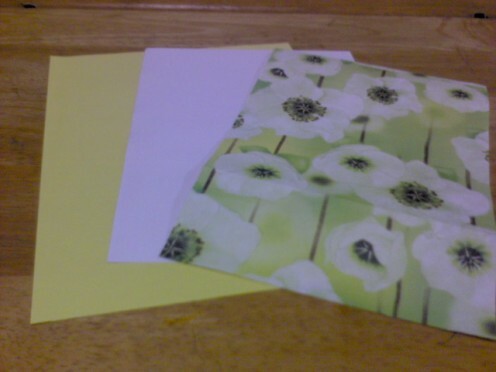 Place the yellow construction paper on the bottom card. 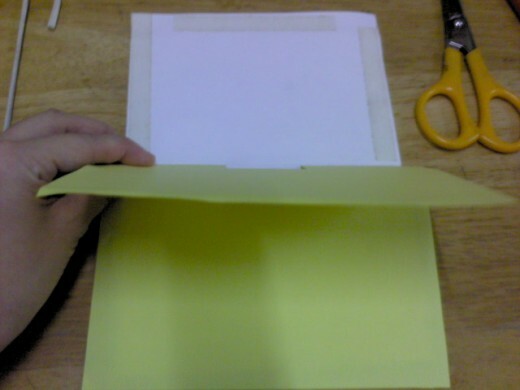 Next, fold down the top card and it will stick to the top of the yellow construction paper on its own. 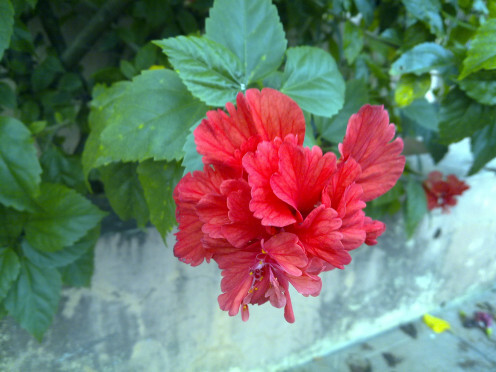 You can print out flowers from free websites that provide flowers images too. 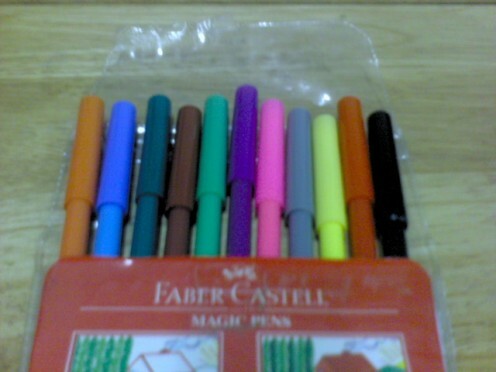 Color it with colorful markers. 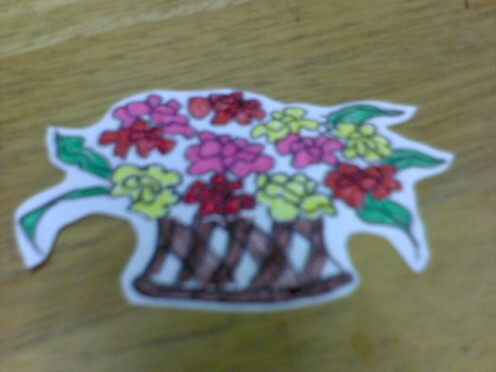 Cut out the basket of flowers. 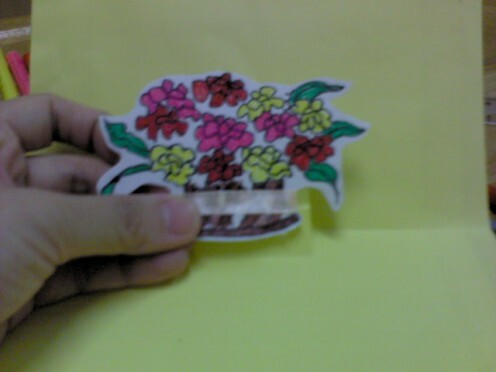 Apply two small piece of double-sided tape at the back of the flower image. Cut a short strip of ribbon and paste it around the basket. 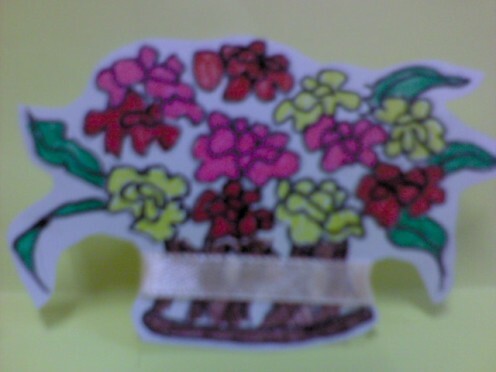 Paste the basket of flower onto the pop-up part, inside the card. Ensure that the basket of flower is able to stand on its own. Color the wordings and cut them out. Apply some glue at the back of the wordings and paste them at the bottom of the basket of flowers, approximately in the middle of the bottom card. 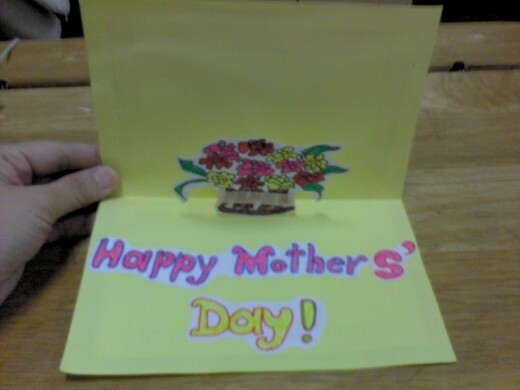 Your Pop-Up Mother’s Day Card is done ! A Happy Mother's Day In Different Languages. Cute and simple-to-make pop-up card idea! Thanks for yr kind comments. Really cool and very pretty. I have always thought that homemade cards, especially Mother's Day cards beat commercial ones by one hundred percent. Thanks for sharing a terrific idea. Do try your hands on this pop-up card. I am sure you will find it fun. Glad that this pop-up card would be a help for your pupils. Do let me know what else you need. This is very useful. I'm a teacher and this year I'm with special needs children in middle school so I'm always looking for ideas to use in the classroom. Thanks.